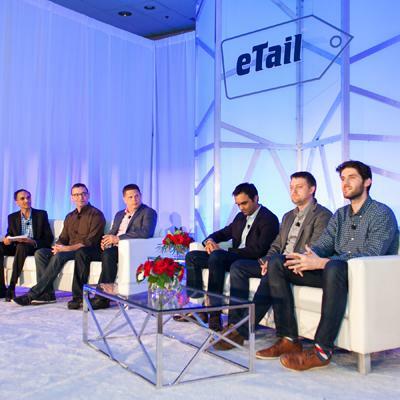 With limited vendor participation, eTail makes it easy for you to get business done. 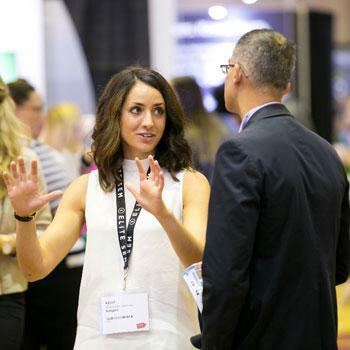 It won't feel like a stuffy tradeshow, because it isn't one. eTail is proud of its industry-unprecedented 65% retailer rate - In fact, we're the industry's only event that brings more buyers than sellers. 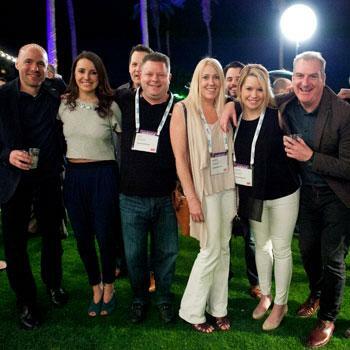 You get open access to our app, invites to all networking events, and don't forget eTail is held at a 4-star hotel in the beautifully sunny Palm Springs. Fully customizable exhibit opportunities. For booth selection and floor map, reach out here. Sessions worked into the agenda - Full campaign branding. From keynotes (full audience) to tracks and panels (segmented audience) to roundtable hosting (targeted audience) and more. Yes - over 50 trade and tech media attend every year. To see more about who you will see, click here. We know that one of the reasons our sponsors keep choosing eTail is because of the excellent customer service we provide. Our staff is not outsourced, and we're with you every step of the way. We start by building a custom sponsorship package, advising on who you should bring, and have a pre-show prep call with your sponsorship director to make sure everyone is on the same page.